Little Kenzie is turning one this month! Amber, Kenzie's mom, decided to get some photos taken to celebrate Kenzie's birthday and to use on the party invitations. It was a very last minute thing thing, but it worked out perfectly. Amber had to get the photos finished right away so she could order the invites, and somehow we were able to schedule this session for the very next day! I guess she caught me at just the right time! We agreed to meet at the park in the evening and spend just a few minutes getting some cute shots of Kenzie. Everything went exactly as we planned! 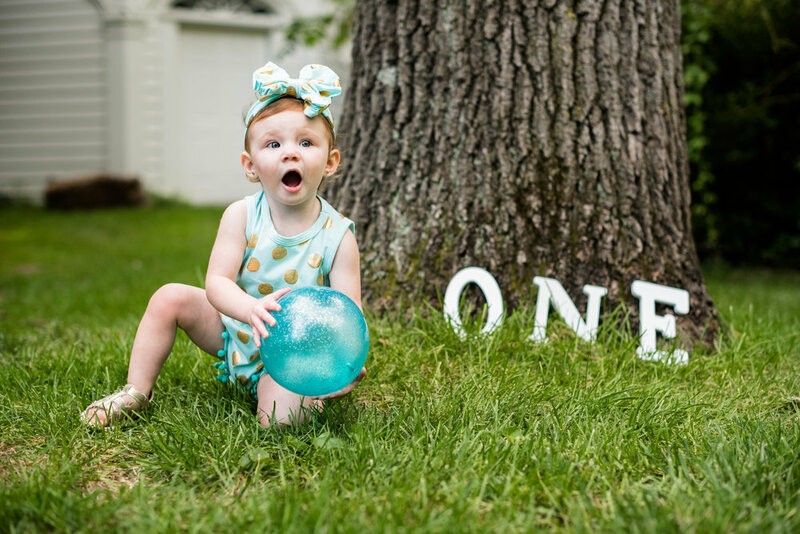 The weather was gorgeous, Kenzie looked adorable, and Amber provided a couple fun props! Of course one-year-olds do not always take direction as well as adults, but this little lady did quite well. Kenzie looked cute as a button in her polka dots and giant bow! She ran around chasing her mom and her brother, hardly ever letting go of her ball. I was kept on my toes trying to anticipate her movements! We tried all the tricks to make her smile and laugh, but she was going to do it when she wanted to do it. Like when she saw a dog! How excited she was! Kenzie loved playing in the grass and very much enjoyed pulling it out of the ground and spreading it all over her blanket. She was happy and having so much fun playing with her family. Family photography is not always about posed, proper portraits of your whole clan at a get together. Family photography is about documenting moments and milestones. Which is exactly what a one-year session does! 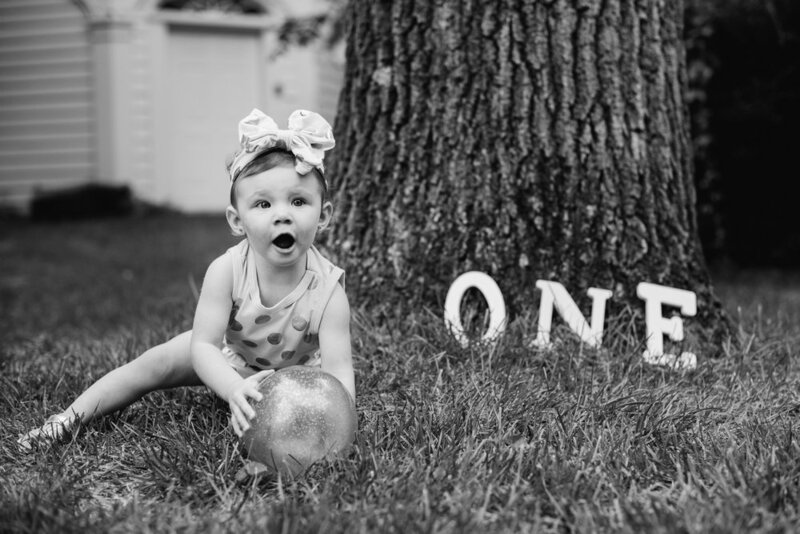 This Toledo family photographer wants to be able to capture all your moments! Please enjoy these photos of lovely Kenzie! All photos taken by Rebecca Trumbull at Wildwood Metropark in Toledo, Ohio. Check out our other recent articles below!